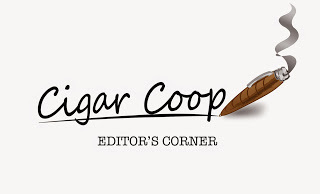 We at Cigar Coop do not consider ourselves a “blog”. The reason for this is we are an online cigar publication that publishes daily focusing on news and reviews. We also only consider “blogging” to be one aspect here and we feel using the name “blog” we real limits the mission we carry out. However there are “blog” aspects to what we do, thus the “Editor’s Corner” is designed to fill the blog role on our publication. This is a place to write editorials giving thoughts and perspectives related to the cigar industry. “Editor’s Corner” is published monthly – usually on the first day of the month. Number 1a (December 2017): Day 2000; Thank You!! Number 9 (August 2018): Who is Rick Ross? Number 1 (December 2016): Where is the 2016 Cigar Coop Cigar of the Year Countdown? Number 12a (November 2017): Should Companies Openly Communicate Price Increases Directly to Consumers? Number 7 (June 2016): One Headline-Why Believe It? Number 3 (February 2014): Who are we? Number 4 (March 2014): Are You Going to Blog About This Event? Number 5 (April 2014): Why Cover Boutiques? Number 10 (September 2014): Lack of Coverage? Number 9 (September 2013): Are You Ready for the Next Generation? Number 9 (September 2012): Worth It for an Iced Coffee?